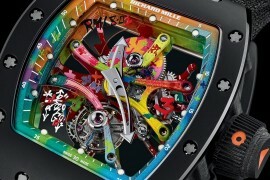 Richard Mille RM030 Black Out and Black Rose is exclusive to the U.S.
Richard Mille’s official bracelet for the largest buy-in poker tournament was an impressive accessory. 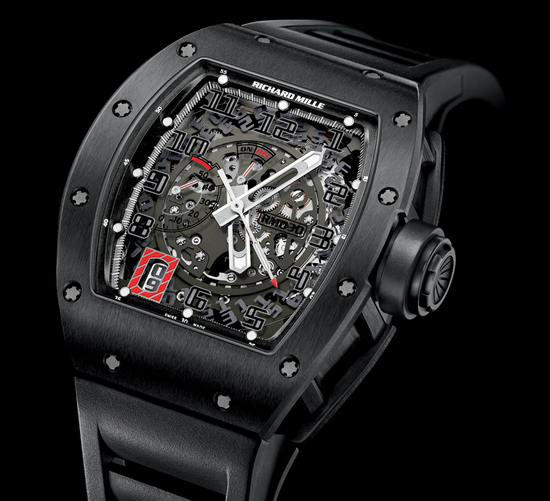 After a teeny break, the watch-maker is back with two new watch models named Richard Mille RM030 Black Out and Black Rose for America. 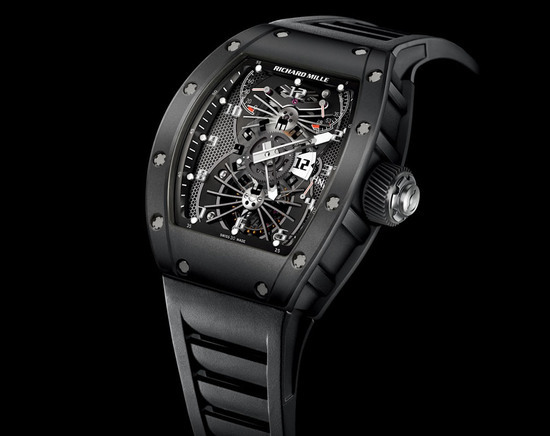 The RM030 Black Out is the darkest RM 030 made and features a black inner bezel, crown protector, numerals and rubber strap with deployant buckle. 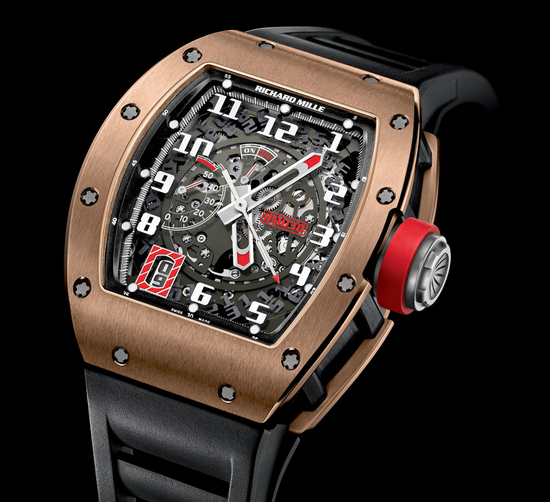 It also includes subtle red elements such as date aperture, seconds hands, winding indicator and power reserve. 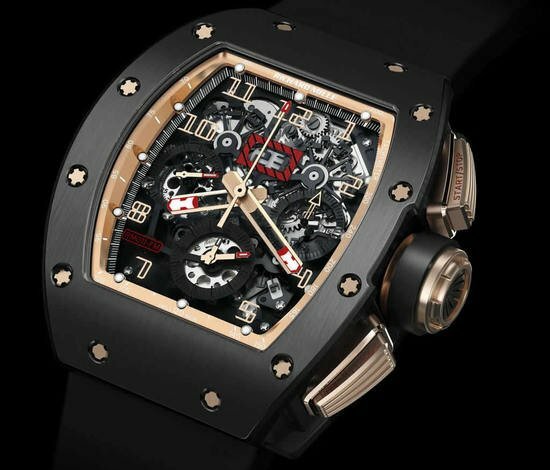 I prefer the RM 030 Black Rose as it features a rose gold bezel, adding a fine tone to the watch.. 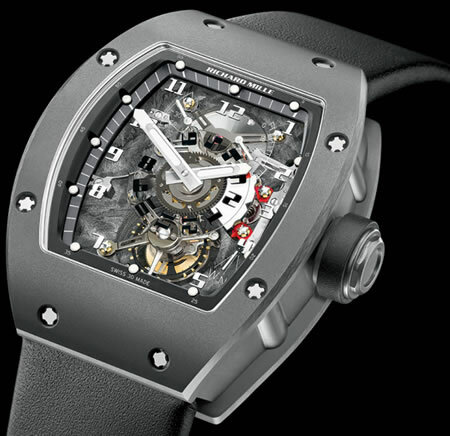 The RM030 Black Rose also features a red crown protector, date aperture, winding indicator, power reserve, and white numerals. 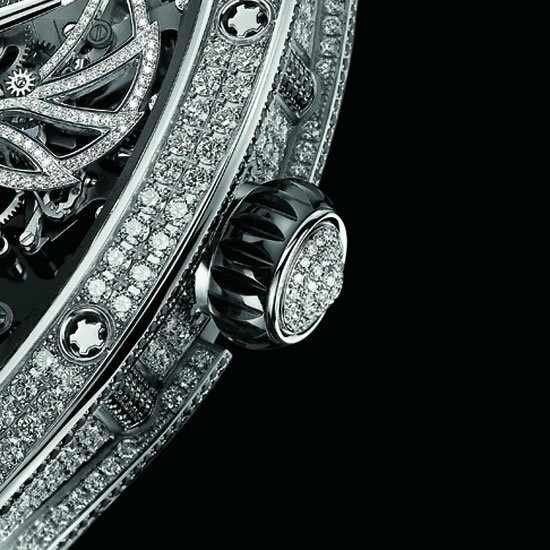 Both the watches are equipped with caliber RMAR1 movement. 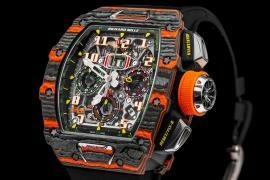 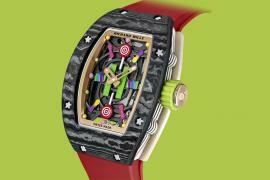 The limited edition watches are available at authorized Richard Mille retailers in North and South America, as well as the Richard Mille Boutique Hills.